Equally at home as a solo recitalist, collaborator and arranger on both the piano and the organ, Daniel Stipe’s broad array of abilities lends a rare depth of understanding and excitement to his music-making. His large and varied concert repertory, with special focus on works of the twentieth and twenty-first centuries, continues to delight audiences wherever he performs. He is a prizewinner in the William Hall Pipe Organ Competition in San Antonio (where he also garnered the Hymn-playing Prize), Tulsa Crescendo Music Awards, Fort Wayne National Organ Playing Competition and the AGO/Quimby Region VII Competition for Young Organists. In 2014 he was featured on the Richmond AGO’s Repertory Recital Series. Daniel, a native of Tulsa, Oklahoma, started playing the piano before he could walk, and studied piano in high school with Elwyn Ratliff and organ with Casey Cantwell. 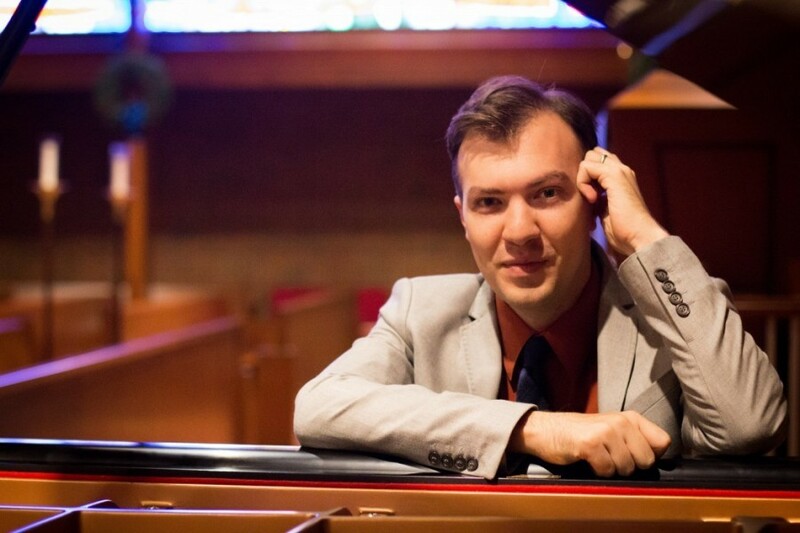 At the University of North Texas, where he studied organ with Jess Eschbach and piano with Adam Wodnicki, he was named the 2004–05 Presser Scholar for outstanding achievement in the music department. While there he served as organist for Evensong services at St. Mark’s School in Dallas, Texas. He went on to earn a master’s degree in organ performance from Westminster Choir College in 2012 as a student of Ken Cowan; while there he also studied improvisation with Bruce Neswick and Peter Richard Conte. Mr. Stipe serves as Director of Music at Trinity Lutheran Church in Richmond, Virginia. Previously he served as music director for the Episcopal Church at Princeton University, as assistant to Tom Whittemore at Trinity Episcopal Parish in Princeton, NJ and as assistant to Robert Delcamp at the University of the South in Sewanee, Tennessee. He has also served as organist at First Presbyterian Church in Denton, Texas and Church of the Madeline (RC) in Tulsa, Oklahoma. Mr. Stipe’s passion for liturgical music of the highest quality has led him to produce numerous sacred choral, solo vocal and organ works, in addition to hymn arrangements and reharmonisations. His transcriptions of large orchestral works for the organ, including Elgar’s Enigma Variations, Ravel’s Mother Goose Suite and Brahms’ Fourth Symphony, are noted for their flexibility and elegant solutions. As a collaborator, he has served five times as the accompanist for choirs singing in residency or concerts at major English cathedrals, has accompanied countless vocal and choral ensembles, and has an extensive knowledge of the string and wind repertory. He maintains an active concert schedule, with recent performances in Richmond, Tulsa, Nashville, Chattanooga, Knoxville, Princeton, New York City, Hartford, Denver and Atlanta. Daniel lives with his beautiful wife, Julie, in Richmond, VA. In his spare time his interests tend toward road cycling, hiking, role-playing games, and good literature.